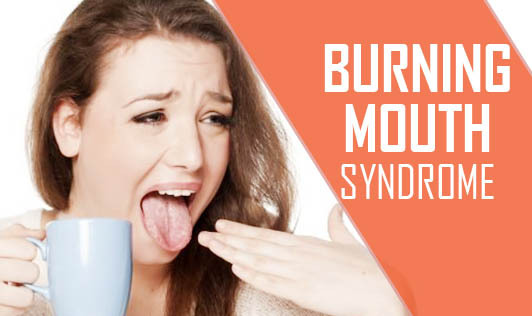 Burning Mouth Syndrome is a medical term for chronic or recurrent burning in the mouth without an obvious cause. The pain from the burning mouth syndrome can affect one's lips, gums, tongue, cheeks and roof of the mouth. Other names for this condition include scalded mouth syndrome, burning lips syndrome, stomatodynia and glossogynia. If you experience any burning or soreness on your tongue, lips, or other areas of your mouth, consult with your physician or dentist at the earliest!